Brian Anthony, the man who struck and killed Mentor Police Officer Mathew Mazany last year, was sentenced in Lake County Court of Common Pleas Friday to 11.5 years in prison. 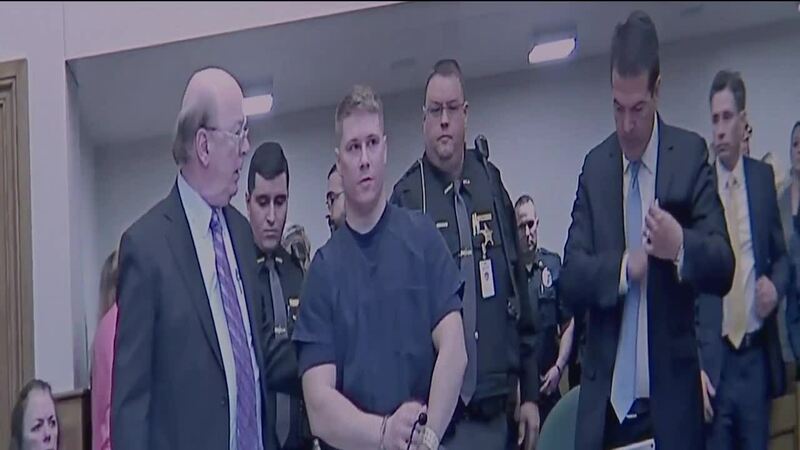 MENTOR, Ohio — Brian Anthony, the man who struck and killed Mentor Police Officer Mathew Mazany last year, was sentenced in Lake County Court of Common Pleas Friday to 11.5 years in prison. In March, Anthony, 25, changed his not guilty plea to guilty on charges of aggravated vehicular homicide, operating a vehicle under the influence, failing to proceed with due caution and / or failure to change lanes when approaching a stationary public safety vehicle displaying emergency lights and one count of failing to stop after a crash. Friday, Judge John O'Donnell sentenced Anthony to maximum amount of time allowed. Defense attorney Richard Perez disagreed with the sentencing calling Anthony a great kid who had a bad night. "Obviously I think that based on his character throughout life and the scenario and what happened here, I felt the sentence was heavy," said Perez. Prosecutors said Anthony had heroin, fentanyl, codeine, ethanol and other derivatives of fentanyl in his urine during the time of the crash. Officer Mazany died in June 2018 while assisting another officer on a traffic stop on State Route 2. He was standing outside of a police cruiser when he was struck by a Jeep Wrangler, according to Mentor Police Chief Kevin Knight. Mazey's older brother, Mike, was frustrated by what saw as a lack of remorse from Anthony. Mazany wished his brother's killer could have received more time. "I feel like they didn't just cheat my family out justice, I feel like they cheated the community out of justice," said Mike Mazany.